BUTUAN CITY, Feb. 13 (PIA) – The Philippine Rice Research Institute (PhilRice) Agusan is promoting its Rural Transformation Movement (RTM) for the welfare of the community farmers not only in the province of Agusan del Norte but in the entire Caraga region. In an interview over Advanced Forward Emergency Broadcasting System (AFEBS) Network of the Philippine Information Agency (PIA) Caraga in this city, Marilyn Amoin, Science Research Specialist 1 of PhilRice Agusan bared that its Rural Transformation Movement is intended to make the farmers more diversified and integrated. "We want to help the farmers earn more by venturing into other products and livelihood. We want to see them improve their lives through different strategies," said Amoin. Amoin also said that the pilot area for its Rural Transformation Movement is in Brgy. Basilisa, RTR, Agusan del Norte. "We are encouraging the community farmers to avail of this opportunity and be a millionaire. We call this Movement because we wanted to see our farmers experience the changes in their lives while they are into this program of PhilRice. We should act and move forward to achieve this goal," she added. With the said movement, farmers are encouraged to produce other products such as livestock raising, vegetable production and byproducts. "Together with PhilRice personnel from our central office, we are still on the process of conducting social diagnostic and mapping in Brgy. Basilisa, as well as in other communities where we can identify qualified farmers for the Rural Transformation Movement, which we are promoting. We are also looking into and assessing the needs of the farmers and on how we can better improve their present livelihood," shared Arbutante. As to the criteria on how community farmers can avail of the PhilRice's RTM, Ginalyn Arbutante, Science Research Assistant of PhilRice Agusan also revealed that they are still finalizing the criteria and will soon release it to the public. "It is an advantage on the part of the farmers who are also land owners because they have big chances to expand their livelihood," she said. Arbutante further disclosed that PhilRice is also promoting technology development for the farmers to improve their production and increase their income. The institute also produces quality seeds available for the farmers. "For inquiries about our Rural Transformation Movement, the public can send it along with their other concerns thru PhilRice's Text Center at 09209111398. We will be very glad to accommodate them," highlighted Arbutante. BUTUAN CITY, Feb. 13 (PIA) – In a press conference held on Friday, the local government here thru Mayor Ferdinand Amante Jr. and Philippine Health (PhilHealth) Insurance Corporation Caraga regional vice president Johnny Sychua announced that all necessary preparations for the Tree Growing activity on February 18, 2015 in Brgy. Bancasi of this city are all set and ready. It can be recalled that Sychua and Amante recently led the groundbreaking for the landmark tree growing activity last January 23, 2015 in the city's eight-hectare parcel, a kilometer south of the Bancasi airport. "More than 650 individuals will be joining our office and the city government of Butuan during the Tree Growing activity on Feb. 28, 2015 in Brgy. Bancasi. See you all there and let's ensure the growth and sustainability of the trees that's why when we plant them, let's all plant them properly," emphasized Sychua. Meanwhile, Amante bared that as the city government implements its Vision 2020, 1,300 Pantawid Pamilya (4Ps) members are targeted to graduate to self-sufficiency every year until 2020. "With our Vision 2020 in Butuan City, we aim that our people will experience economic upliftment thru the city government's socio-economic bundling," Amante added. The good mayor also stressed that all city hall employees are required to share what is the Vision 2020 of the city government because it will help uplift the economic condition of the city. SURIGAO CITY, Surigao del Norte, Feb. 13 (PIA) - The Department of Trade and Industry warns the public to be cautious on transacting business with vehicle dealers especially those handling reconditioned units. In a recent case that was brought to the attention of the agency, it was learned that there are dealers who do not fully explain the terms and conditions of purchase of reconditioned vehicle units and if ever they explained to the buyers, these are not put in formal document. Buyers should see to it that what is being said and promised by the dealers must be expressly written in the contract of sale or any documentary instrument relative to the transaction especially on the matters like warranties. Among others, insurance coverage and vehicle registration, cost of repairs, repair or replacement of defective vehicle unit, terms and mode of payment in the case of products purchased on instalment basis should be clear on the part of the buyer. 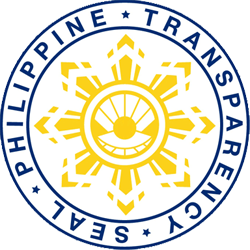 The most common consumer complaints reaching the DTI office include the delay of release of certificate of registration of the vehicles including motorcycles and defective engine units that require recurring repairs. Having valid documents – contract and receipts – of such transactions will help the buyer and in certain degree help concerned government authorities to facilitate the resolution of particular complaints. Buyer should read, fully understand and totally agree on the terms and conditions before signing the document prior to making initial payment. He/she should secure a copy of the fully signed contract or purchase agreement. Refusal of dealers to provide copies of signed purchase agreement detailing terms and conditions should provide alarm signals of potential customers. SURIGAO CITY, Surigao del Norte, Feb. 13 (PIA) – Pasig City representative Roman Romulo, grandson of the late Gen. Carlos P. Romulo, graced the Barangay Health Workers’ (BHW) Forum held recently at the Provincial Convention Center, this city. Rep. Romulo was accompanied by his wife and TV host Shalani Soledad. Surigao del Norte governor Sol Matugas and 1st district representative Francisco Matugas hosted the event together with vice governor Arturo Carlos Egay, Jr, members of the Sangguniang Panlalawigan, municipal mayors, delegates from national line agencies and private stakeholders. In her message, Governor Matugas asked the members of the provincial board to increase the honorarium of BHWs with an additional one hundred peso take-home pay apart from fringe benefits, free PhilHealth cards and other rewards which the governor has in mind. She said that in the very beginning, she has always defended the rights of BHWs to live decently and work in a friendly environment with just compensation. Furthermore, governor Matugas expressed her gladness that the convergence of health workers coming from the fundamental unit of society, finally took shape after a very long wait and serious preparations. Every municipality was well-represented by BHWs who wore t-shirts of different colors, waived harmoniously and cheered flamboyantly during the said activity. Meanwhile, Cong. Romulo stressed the important role of BHWs to propel the 'Marajaw Panlawas' (good health) advocacy of the province. On the other hand, Soledad, who is also a city councilor in Pasig City, thanked the Surigaonons for their genuine love and warm reception which was extended by no less than the governor and congressman, and the Capitol family. At the end of the summit, Cong. Romulo and wife Soledad handed a free trip ticket to Hongkong to one lucky BHW from the municipality of Dapa. BUTUAN CITY, Feb. 13 (PIA) – The Department of Education (DepEd) Butuan City division is giving access to Children With Disabilities (CWD) in all schools. For several years, inclusive education and empowering teachers to handle Children with Disabilities in all schools were given less attention, thus every family with a child that needs special education enrolls at Butuan City Special Education (SPED) center since it is the only school having proficient and skilled teachers whose educational background is specializing in SPED. Consequently, series of orientations were initiated in 2013 and up to the present to prepare district supervisors, principals, kindergarten and elementary school teachers in embracing inclusive education in schools. This advocacy is also shared to private schools in the city since they are also accepting children with special needs. The topics include SPED: Foundation, Philosophies and Principles SPED Programs and Services, Inclusive Education, Hearing Impairment, Visual Impairment, Children with Intellectual Disability Children with Autism, and Children With Learning Disability. The orientation on inclusive education to the different districts brought change in the perspective of teachers in accepting children with special needs, clouds of confusion and queries about the program were addressed. The teachers disclosed that they had been accepting and teaching children with special needs but they were not capacitated on how to deal with them and where to start. Having the heart to teach not just CWDs, the SPED Center teachers were also very kind to offer their extra time to teach teachers from other schools on strategies, sign language and class observations that will enhance their learning on SPED. With the strong advocacy on inclusive education, some central schools are implementing the SPED programs namely Libertad Central Elementary School, F.R. Sibayan Central Elementary School and some of non-central schools which accepted children with Autism, learning disability, intellectual disability, and hearing impairment. A total of 222 CWDs (Hearing impairment – 41; Visual impairment – 7; Intellectual Disability – 47; Autism – 29; and Learning Disability – 98) are currently enrolled in the SPED Center and other inclusive education implementing schools. BUTUAN CITY, Feb. 13 (PIA) - Private schools in Butuan City are sprouting like mushrooms nowadays. The Department of Education (DepEd) Butuan City division considers it a blessing to have a partner in providing quality education to the pupils and students in every community. Record shows that the number of private schools have increased by 22 percent in two years’ time. Additional 12 new schools are operating with permit in 2013 to 2014 with a total of 66 regularly operating private schools as of the moment which puts Butuan, a city having the most numbered private schools in Caraga Region excluding few schools which are still on the process of preparing their pertinent documents for permit. The rapid growth of private schools is due to the implementation of the K to 12 curriculum as stated in Republic Act 10157 or "An Act Institutionalizing the Kindergarten Education Into The Basic Education System," thus all private schools offering this program are required to apply for permit since they have been warned through Regional Memorandum no. 109, s. 2014 of the possible problems that may arise between the parents/pupils/students and the school. It should be stressed that students from private schools without permit to operate or recognition could not be accepted in other schools if they wish to transfer. Further, Regional Memorandum no. 92, s. 2013 in consonance with DepED order no. 18, s. 2009 reminds all private schools to comply with the consultation and notification requirements mandated by existing laws and regulations for tuition fee increase which should be completed not later than March 30 of every year. Supported by the necessary documentation evidencing consultation and compliance with the utilization of the proceeds of tuition fee increases, documents of these requirements have to be submitted to the regional office not later than May of every year. All these orders and memorandums are well-communicated to all administrators and principals of private schools through memorandums and conferences that lead to the empowerment of individual schools. Aside from catering to their legal needs, the Division of Butuan City through the leadership of superintendent Josita B. Carmen and assistant superintendent Jeanie L. Mativo, welcomes all private school administrators and parents if they have concerns with regards to the curriculum and educational welfare of their children. BUTUAN CITY, Feb. 13 (PIA) - The Department of Agriculture (DA) – Regional Field Office XIII recently conducted a coordination meeting to all Provincial Agriculturists/Provincial Veterinarians in the region. The said meeting aims to provide a venue for DA and the local government units to impart their objectives and harmonize actions for CY 2015. The activity also keeps track of updates and developments employing the combination of top-down-bottom-up process in the generation and discussion of policies, thrusts and directives in program and project implementation. “We want the LGUs to be aware of not just the programs and projects to be implemented in their respective locality, but also for them to know the status and situation of the Department so they can take part in helping us achieve our targets,” said DA Caraga regional director Edna Mabeza. A total of ₱1.1 Billion regional allocations for FY 2015 according to General Appropriations Act (GAA) should be productively utilized for the year to address the farmers’ need and increase agriculture productivity. The Philippine Rural Development Project (PRDP) which aims to increase rural incomes through enhancing farm and fishery productivity has a total of ₱ 334,130,000 for the region. This is allotted for the infrastructure and enterprise development subprojects to be implemented as additional interventions of the agency for agriculture development. TANDAG CITY, Surigao del Sur, Feb. 13 (PIA) – The Revenue District Office 106 (RDO 106) of the Bureau of Internal Revenue (BIR) in Surigao del Sur bared its 2015 collection goal. BIR chief Monib Dimakuta said their office is tasked to collect P913,525,000, citing the monthly breakdown as follows: January—P81,946,000; February—P60,636,000; March—P59,625,000; April—P98,317,000; May—P76,993,000; June—P68,948,000; July—P76,901,000; August—P77,234,000; September—P72,852,000; October—P80,378,000; November—P87,412,000; and December—P72,283,000. This means an increase of 33.62 percent over the preceding year with a collection target of P745,763,000, he explained. Meanwhile, the said office has yet to show the January 2015 tax collection accomplishment. It can be recalled that late last year Dimakuta expressed optimism that 2015 would be a better year for their office. At the same time, the local BIR chief admitted that while calendar year (CY) 2014 was quite a struggle on their part, they still managed to raise the bar as far as tax collection is concerned. AGUSAN DEL SUR, Peb. 13 (PIA) - Sinabi ng Palasyo na ang Sandatahang Lakas ng Pilipinas ay palaging handa sa anumang planong destabilisasyon o coup plot sa gitna ng mga ulat na mayroong mga grupo na nagpaplano para destabilahin ang pamahalaan. Sinabi ni Senador Miriam Defensor Santiago noong Huwebes na nakatanggap siya ng impormasyon tungkol sa planong kudeta laban sa administrasyong Aquino. Sabi niya na ang paratang na subuking magkudeta ay kinakatigan ng isang mataas na negosyante. Sinabi ni Communication Secretary Herminio Coloma, Jr., sa kanyang panayam sa media noong Huwebes na hindi sila nakatanggap ng anumang impormasyon tungkol sa tangkang kudeta. Ngunit pinuna niya na ang AFP ay handang sanggahin anumang balak na kudeta. "Tungkulin ng Sandatahang Lakas na pigilan at puksain ang lahat ng kalaban ng estado," sabi ni Coloma. 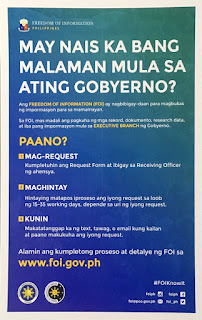 "Mismong si Secretary Voltaire Gazmin ang nagpatunay sa kahandaan ng AFP na gampanan ang tungkuling ito,” dagdag pa nito.